Prior to Mom and Dad going to NYC, I spent an above average amount of time with Grandma Davenport because Mom was busy printing and Dad and Grandpa Davenport were busy building Mom's booth. That was all fine by me though because there's nothing better than spending time with Gmas. On 4/28, Mom was pretty excited about the royal wedding scheduled for the next day so she tried to get us in the groove by donning our own crowns. The Duchess has nothin' on us! 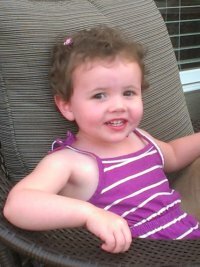 GmaD took Friday the 29th off and once again, I volunteered to keep her entertained. M&D HATE gardening or really anything that could be classified as yard work so I try to get my fill anytime I'm with the grandparents. That Friday, GmaD and I planted some new flowers and she let me water 'em! GmaD and I had lunch at Spin with GpaD and Dad. I love pizza pie and GmaD let me sip from her cup with my own straw. 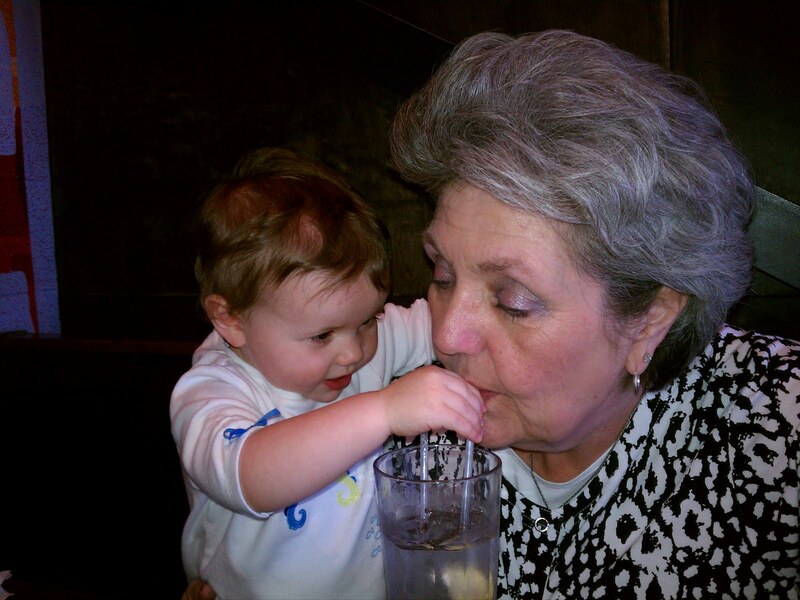 I also helped GmaD sip from her own straw as well. Am I helpful or what? After Lunch, GmaD and I went to a park to do some playing. I am a hug fan of slides and this park had a couple of good ones! For dinner, Aunt Darcy, G&G D and I met M&D at Cheddar's. Near the end I felt things were kind of dragging out and Dad could tell so he took me outside for a walk. Then he started swinging me around which I LOVED and everyone else came out in time to see it. I'm sorry about the sound but as you can see in the picture above, it was crazy windy. 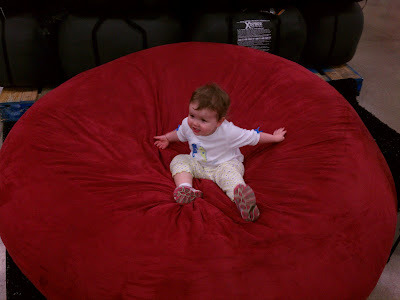 After Dinner M&D and I headed over to Sam's Club for what I assumed would be an average trip but then we stumbled across this giant bean bag. I BEGGED M&D for it but they held their ground like champs!